In 1997 Justin and Jessica purchased an existing salon, then renamed it Ethan Hunter salon in memory of their son. Tues - Fri: 8:30 a.m. - 6 p.m.
*first time appointments may be required to give a credit card to reserve a spot. In 1995 Justin attended Moler Barber School, the oldest barber school in America. Upon graduating he apprenticed under Richard Kramer of Dicks Sports Barbers in Edina, Minnesota, for his master barber certificate. 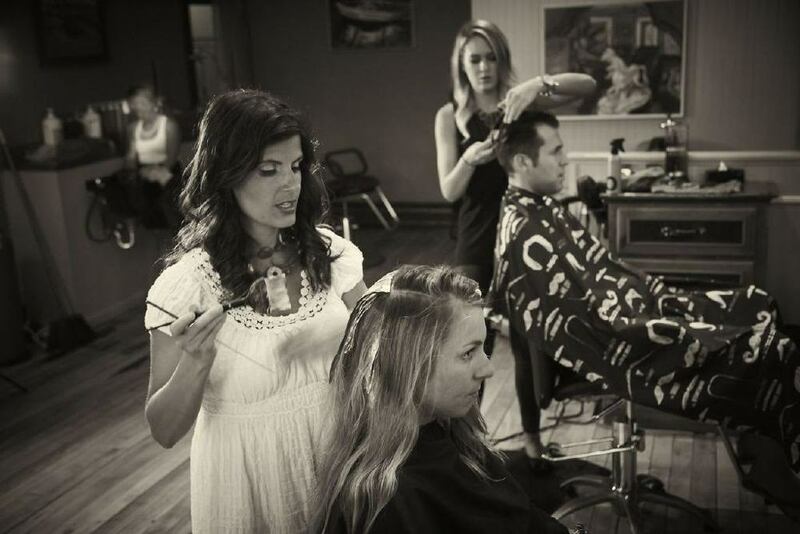 In 1997 Justin and Jessica moved to Portland, Maine and started Ethan Hunter salon. Shortly after Justin spent a month training under Jon Guest, at Vidal Sassoon academy perfecting his skills with woman's hair. He has taken advanced training and received degrees with Toni & Guy academy, Framesi master colorist, Wella, Lanza, and many others. "Since I was a young child I wanted to be an artist. I have my mother to thank for directing me into this field." In 1993 Jessica attended Maine State Academy of Hair Design. After graduating Jessica worked at a couple of high end salons before owning her own. Over the years she has taken advantage of many advanced training classes and degrees in the industry including, Vidal Sassoon Academy, Toni & Guy Academy, Lanza, Wella, Goldwell, and a master colorist degree with Framesi. " I still enjoy gaining new Knowledge on a regular basis and I hope it shows in how I take care of my clients."